Skyhawks Ranks #117 in Entrepreneur Magazine’s 2019 Fastest-Growing Franchises! | Post on Youth Sports. Skyhawks Ranks #117 in Entrepreneur Magazine’s 2019 Fastest-Growing Franchises! 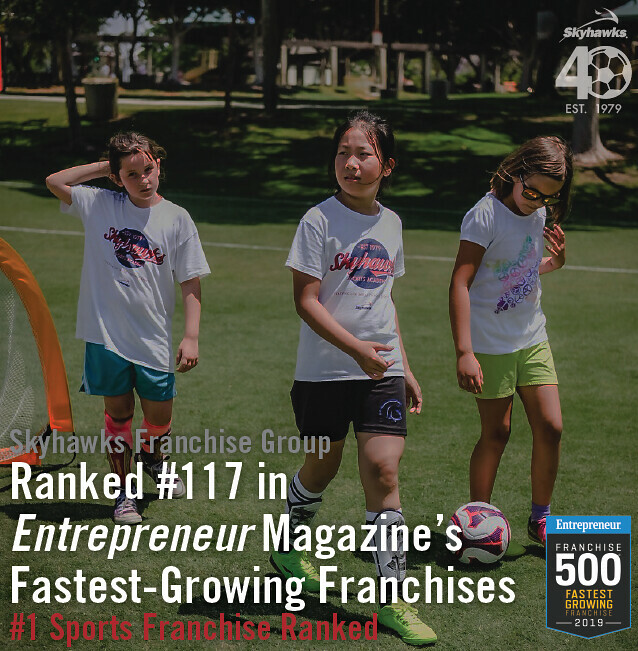 In the 2nd annual Fastest-Growing Franchises ranking, Skyhawks Franchise Group has been named the top youth sports franchise and #117 overall of the top 150 companies who are “leveraging their ability to scale fast.” After increasing 107 places on Entrepreneur’s Franchise 500® ranking and having substantial growth in 2018, it makes sense that Skyhawks would place as one of the fastest-growing franchises in the world. The Fastest-Growing Franchises ranking is based on the number of new franchise units added in the United States and Canada from July 2017 to July 2018, as verified by Entrepreneur, with ties broken based on percentage growth. The ranking is created to give potential franchisees a starting point on which fast-growing franchises to consider. Earning a spot on the ranking shows how much Skyhawks has grown over the past couple years into a well-built franchise system. Skyhawks wants to exceed expectations and offer an outstanding experience for all participants in our sports programs. Our franchisees are passionate about the Skyhawks brand and they understand what it means to the children. We are proud of our Skyhawks family around the nation, and we can’t wait to see how much more Skyhawks grows in the future.